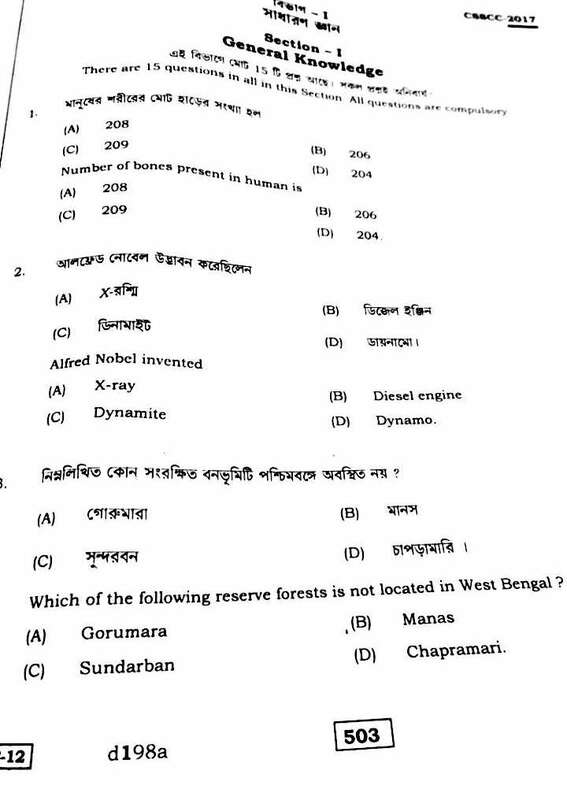 WBSSC Group C Question Papers for earlier years are given below. 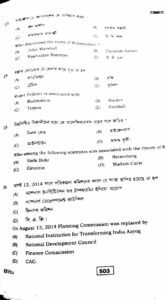 Download West Bengal School Service Exam group C clerk exam question papers in PDF format. 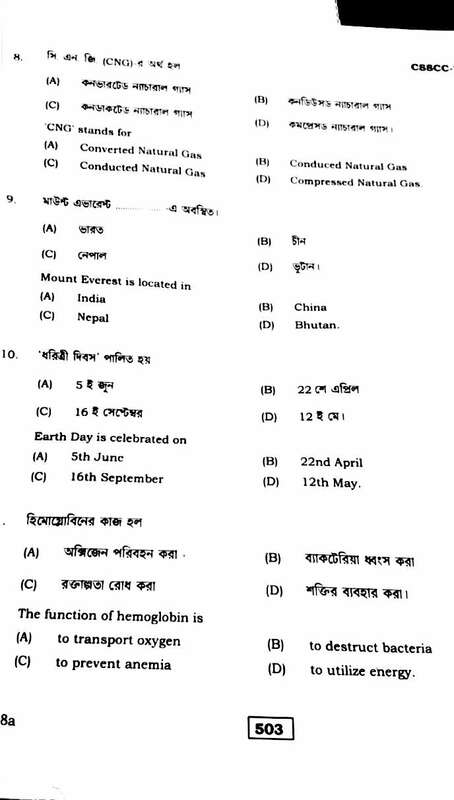 Refer to the model questions and answer keys also in Bengali & English. Study materials are also provided here. 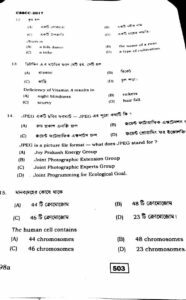 Download West Bengal School Service Commission Group C Clerk RLST question paper in PDF format which was held on 5th March 2017. 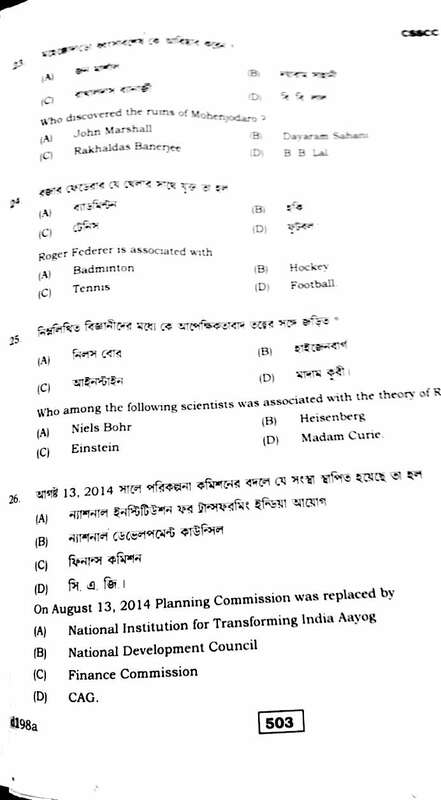 The question paper can also be downloaded in image format. 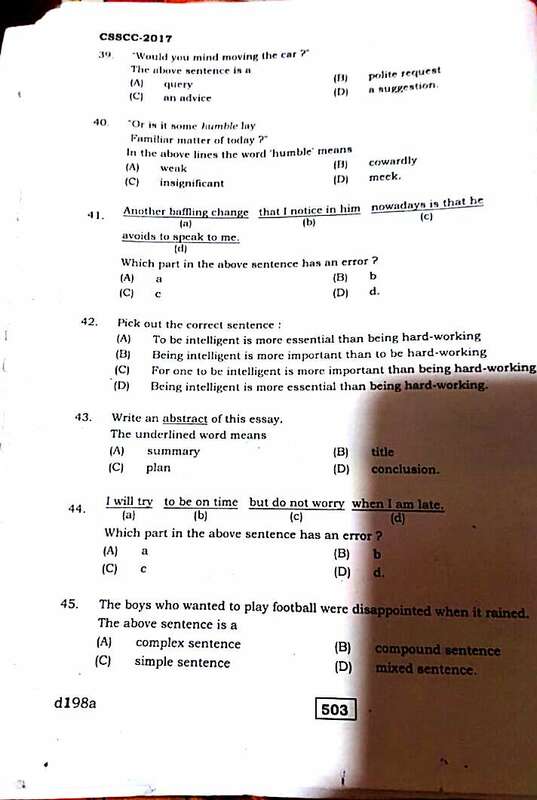 There were 50 MCQ Questions asked in the written exam from different subjects. 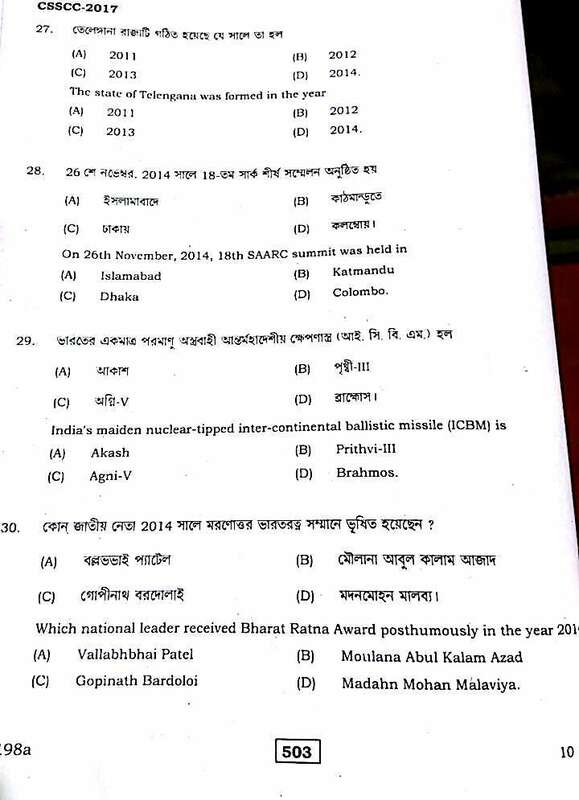 Candidates were given OMR Sheet to answer. Each Objective MCQ will carry one mark. 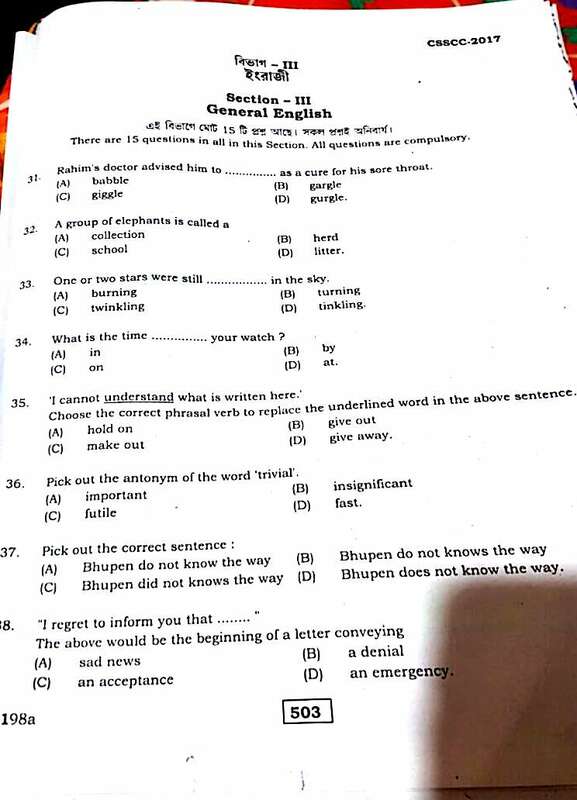 General Knowledge, Current affairs, General English and Arithmetic aptitude questions were asked. 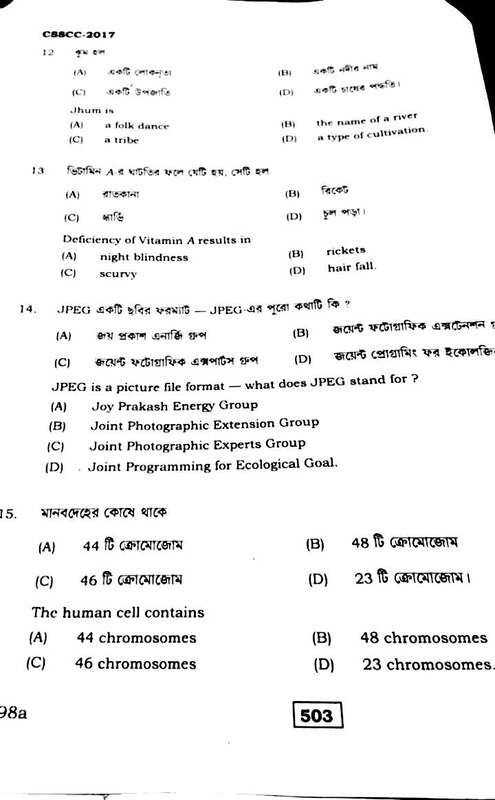 Download the Answer Keys of this Group C Exam Paper – Click here. Earlier West Bengal School Service Commission or WBSSC had published recruitment advertisement on their official website which is – www.westbengalssc.com. Candidates need to keep an eye on the official website to know the latest happenings regarding the exam. This is the 3rd Regional Level Selection test or RLST for non teaching staff Gr C D. Group D exam was held earlier. 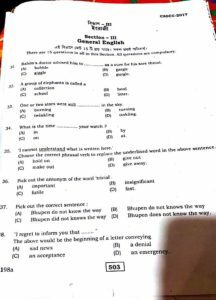 Group C Clerk written exam was held on 5-03-2018. For more visit the official website – Click here to go. ০৫/০৩/২১৭, গ্রুপ সি রেজাল্ট কবে বেরব (ফাইনাল) ৮৪৯১৯৫৪০১৯. Pls. Asked me result date on 05/03/2017 Group D Clark exam.